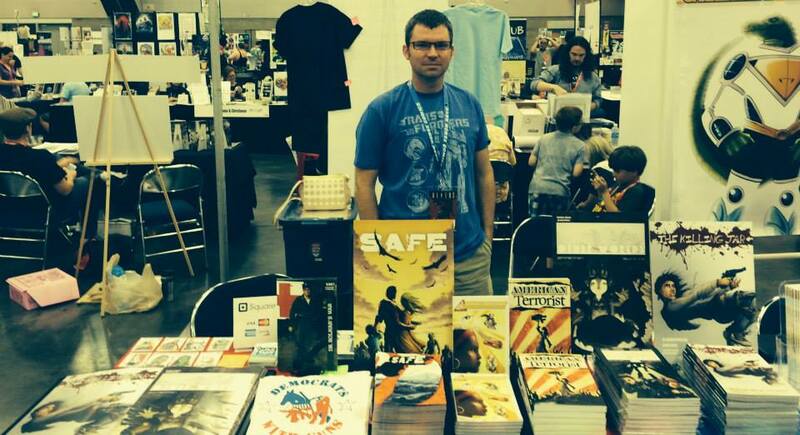 Justin Zimmerman, author of SAFE, director, writer, and all around awesome guy, decided to sit down with me for a spur of the moment interview at his booth during Rose City Comic Con. 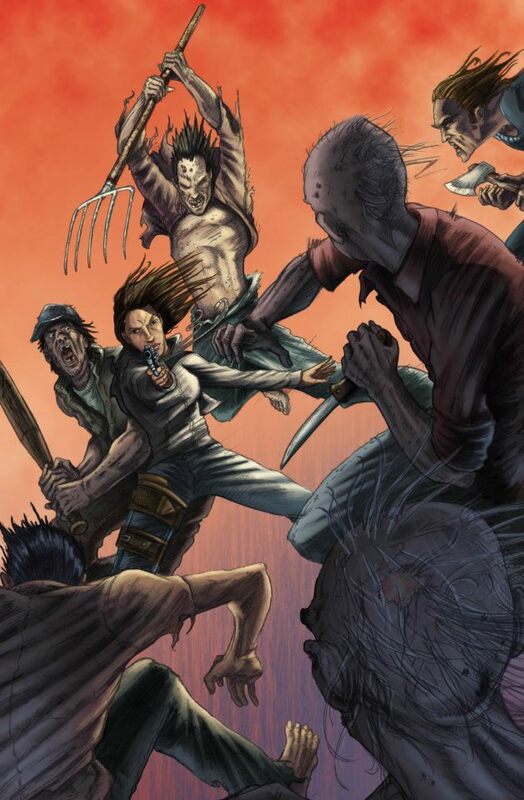 In case you missed it, I interviewed him about his latest comic SAFE and also reviewed the comic itself. You should check those out, then come catch up with what he’s doing! Justin is an all around creative genius with his hands in a lot of projects. He’s a filmmaker, writer, and has done quite a few independent comics which were all successfully funded through Kickstarter campaigns. To top it all off, he’s a sickeningly nice guy and ridiculously easy to talk to, so how could I turn down an interview? 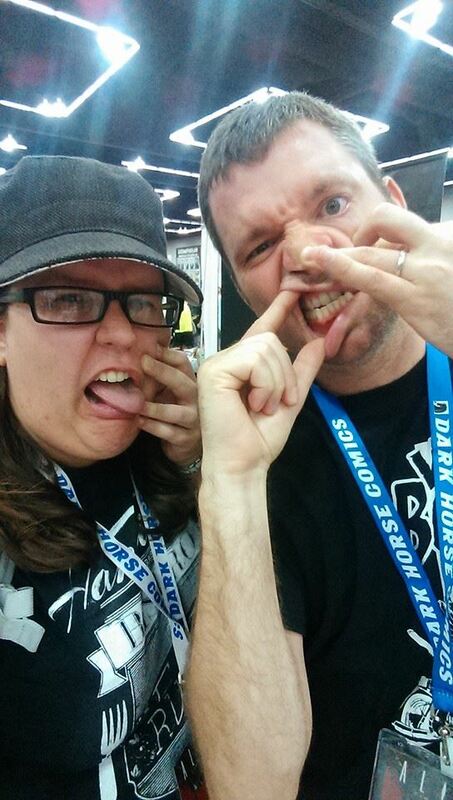 KC: How’s Rose City Comic Con going for you? JZ: I was here for the first Rose City Comic Con and it has grown exponentially and I think it is a really great fest. Whenever you bring in some of the pop culture elements it kind of changes the vibe of the whole show. It is really well run, like Emerald City, it is very friendly, very open, and there’s a lot of good work here. I always enjoy coming to Rose City. KC: It is a good one. How many years has it been running? JZ: Three, this is the third. KC: I swear to you, I left Oregon to go to school in Southern California, then freaking Oregon gets all of these comic book conventions. KC: So how’s SAFE been doing? I know the last time we talked was when you were pushing through that Kickstarter. JZ: What’s interesting is that I don’t do comics for a living at all. Comics are a passion of mine, I am a project manager and I do a lot of writing for storyboards and animation and am a full time filmmaker, so, the Kickstarter is usually the culmination of a comic book event. 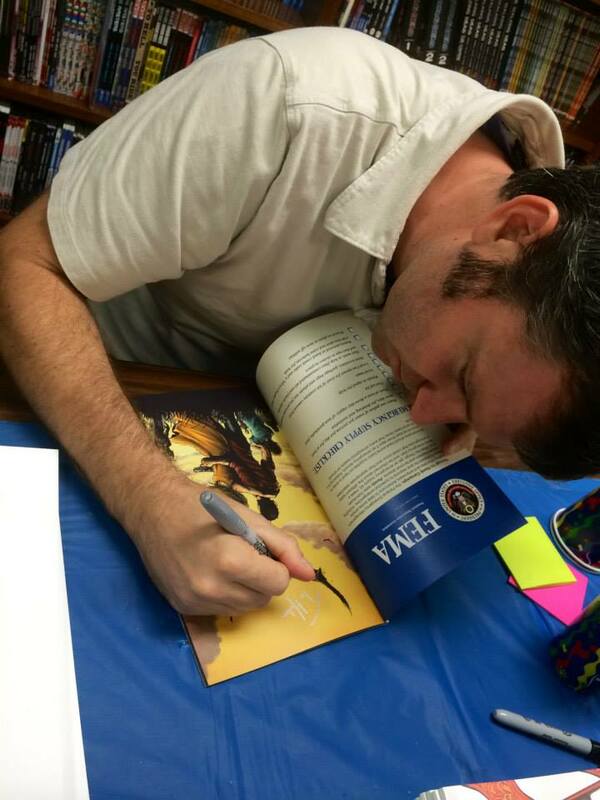 I had a really great signing at Excalibur comics, which I know and love. It’s just been nice to see the book go out and get the enthusiastic feedback it has received. JZ: I’m glad you did, because [in our interview] I was trying to talk about the book without ruining anything. It is a short, visceral piece, and I wanted to really make sure the ending stuck and I didn’t want to ruin that. I’ve gotten some pretty great reviews from people in the social services field saying I took a really intense concept and sort of used it in a unique way. Nine months to do that kind of project and I was really glad how it turned out. KC: So what are you working on now? It seems like you’ve got five million things going on. JZ: Yeah, I mean, I work for Sysco systems and getty images and I just directed a short animated piece for a company called Ratware. JZ: [laughs] Well, right now I’m directing a Stephen King short and next year I’m hoping to finish a short, thirty minute documentary working with a survivor of Columbine that I’ve been working on for over a decade, and I’ve been working on a documentary in LA that will come out next year. So since SAFE has come out, I’m done with independent comic book stuff, and I’m doing a lot of writing for a living. Next year I will concentrate on finishing a lot of film work. The cool thing is I still get to work with a lot of the comic book guys in other industries and right now we’re working on The Killing Jar as a television show. KC: I’m so excited for that. I love The Killing Jar, it is definitely my favorite. JZ: You know, I really appreciate that. When I wrote it, I was worried that people wouldn’t get it. I mean, I had to write some pretty horrific characters based in the real world, but I had to trust that people would understand that without really terrible situations and horrific characters a strong, independent female couldn’t really shine. So I really wondered if people would get it, and people have. The best part is she’s fallible too, she makes mistakes, and the point is you just do the best you can to write human characters, come what may. It is dark, but it comes from a real place, and people got it. I’m glad you got those points out of it. Lucky I came to Salem. KC: Yeah, god bless Vagabond Brewing! KC: So tell me about the Stephen King short you’re directing. be there. I’ve always wanted to tell this particular story, and finally I got a chance to do something in Oregon. The great part about being a creative person in this day and age is that you have the ability to do all different kinds of stuff. If you create it yourself and your own it, then it has the ability to go into different realms. So I’m a filmmaker who writes narratives, who writes scripts, and comics; things kind of work together in a yearly fashion and you keep building and building. So I feel lucky to be alive in this time. JZ: Yeah, I think so. Thanks to Justin for the great conversation. I can’t wait to see him bright and early for filming, and then next year at Emerald City Comic Con! And don’t forget to go buy some of his stuff!